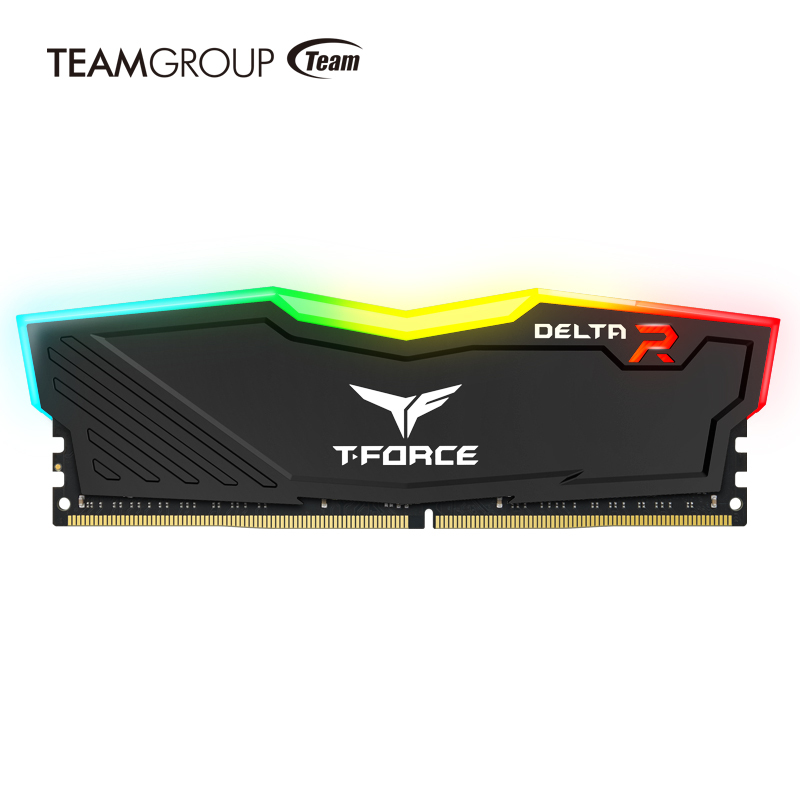 July 11th, 2017, Taipei, Taiwan – TEAMGROUP’s gaming brand T-FORCE has once again shined with the launch of the all-new luminous DDR4 memory module: the DELTA RGB. 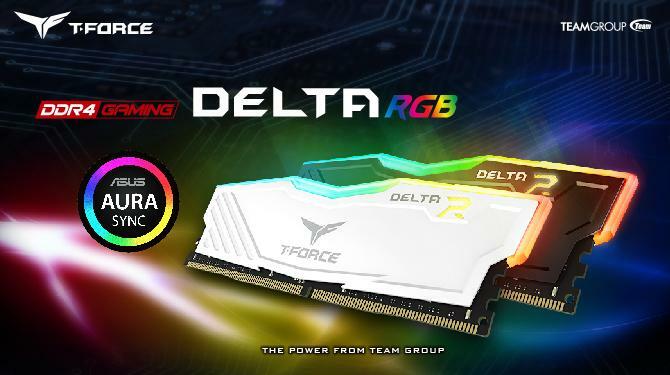 Making its debut at COMPUTEX 2017, the DELTA RGB has captured everyone’s attention during the exhibition with its dazzling ultra wide angle and full-range spectrum lighting effect. 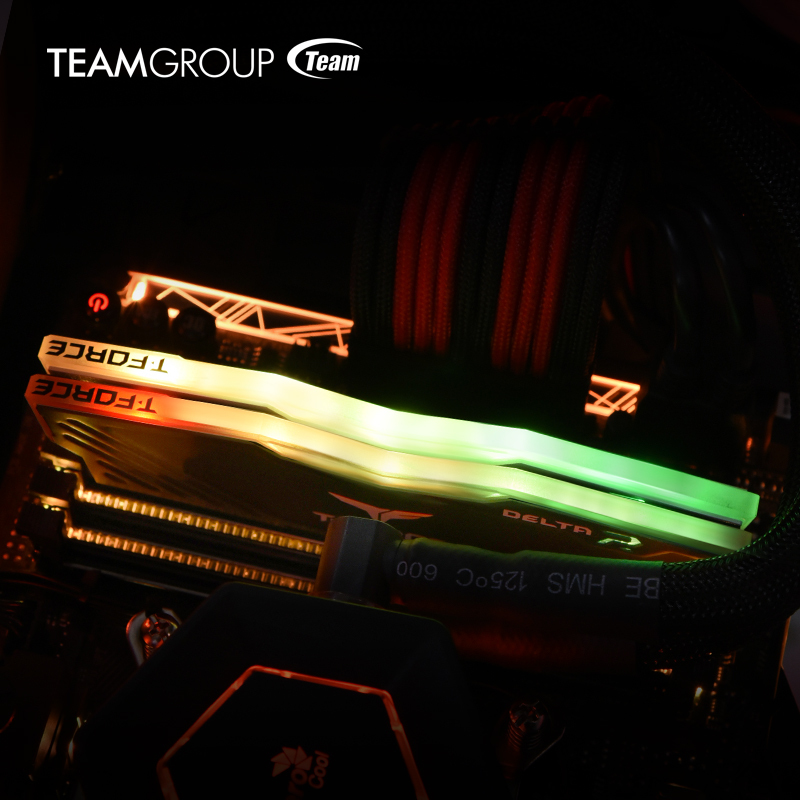 The DELTA RGB memory module features black or white heat spreaders, created by the TEAMGROUP design team with all new concepts. The heat spreaders are made with improved, high-quality metal that creates better dissipation and now are lighter and thinner than anything before it. The R on the DELTA RGB represents not only RGB but also revolution which symbolizes the company’s creative concept with uncompromised spirit. To further highlight this symbolism, the effect of R is also amazingly showcasing the excellent illumination of DELTA RGB. 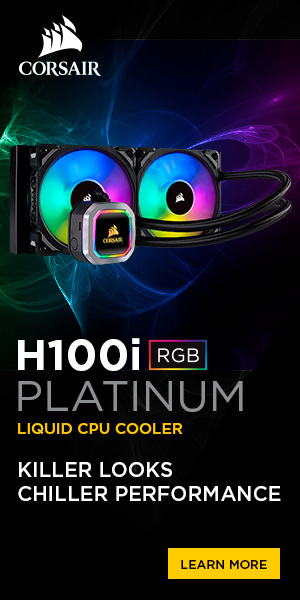 The DELTA RGB’s unibody, geometric design gives the metal heat spreader a simple yet aggressive look. The embossed lines on the surface not only increase the heat dissipation area and also effectively enhance cooling of the memory module, so the quality of the operation can be finely stabilized. DELTA RGB is using full color, dazzling ultra wide angle RGB LED lighting with Force Flow effect. Moreover, the full range, 120° ultra wide angle luminous area at the top emits colorful bright light. It offers a vibrant array of colors that dazzle onlookers. 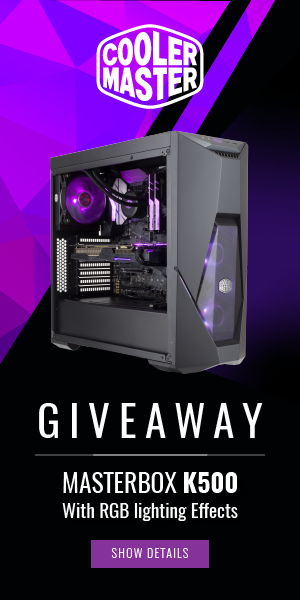 Like a beam saber, it’s a weapon to cut through the gaming world wielded by the player. 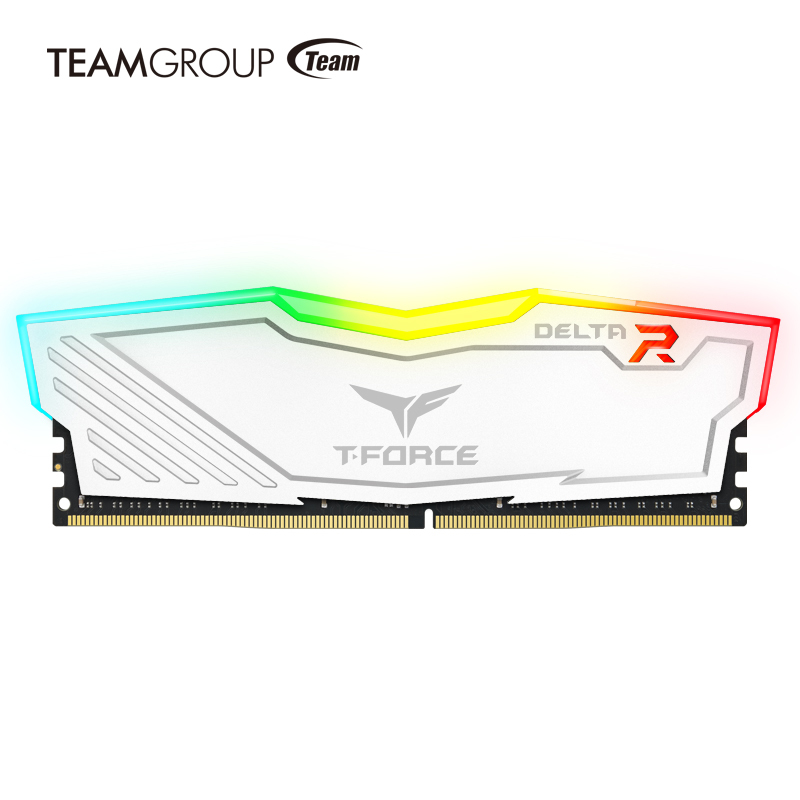 DELTA RGB offers 9 lighting effects in total. The default effect is Force Flow and the rest of the effects can be adjusted by the software of *T-FORCE Blitz or ASUS Aura Sync. Users can change the setting manually according to personal preferences. Personal style can be created and displayed to experience the trendiest and eye catching colorful effect. DELTA RGB is using customized circuit board with latest JEDEC RC 2.0. Compared to ordinary memories, the transmitting signal is raised by 35%. There will be no interference between the power and the signal, and gets better performance. 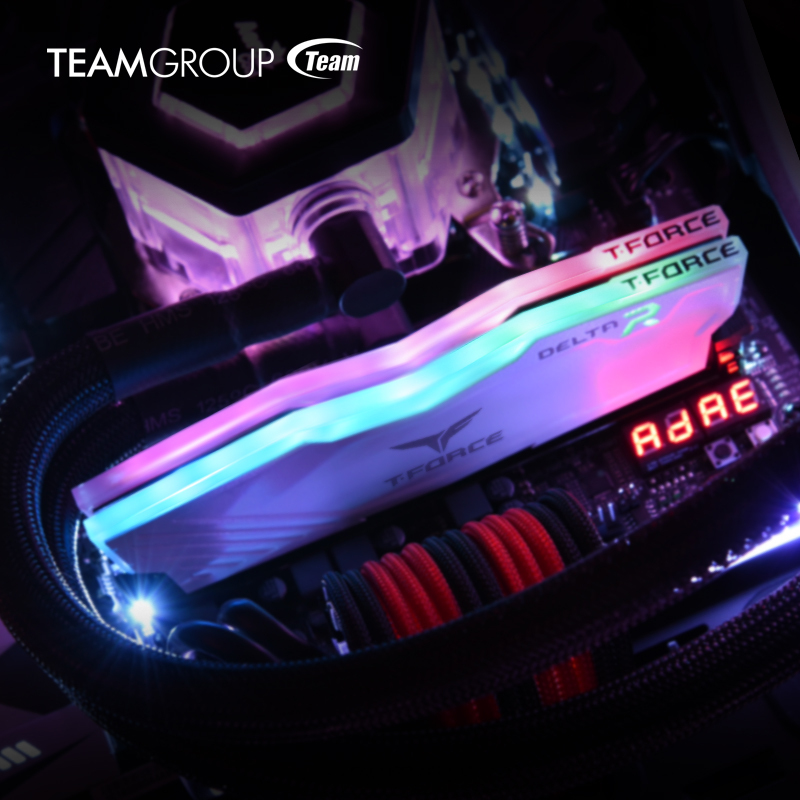 It is a highly stable luminous gaming memory module that can definitely offer players the high speed sensation of overclocking.